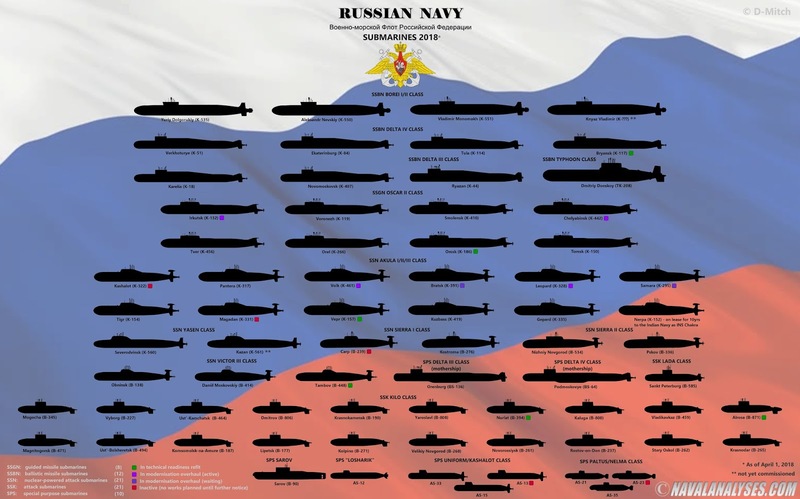 In the following infographic, The People's Liberation Army Navy (PLAN) submarines in 2018, I depict all the submarines that are currently in commission with the PLA Navy (as of April 1, 2018). 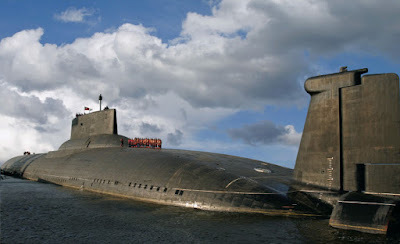 Currently, the PLA Navy (PLAN; Chinese: 中国人民解放军海军), operates a large number of nuclear-powered and diesel electric submarines. The Chinese ballistic missile submarine (SSBN) fleet consists of at least five (5) Jin class (09IV/09IVA, from now on 094/04A) SSBN vessels (other sources mention six boats already in the class) and one Xia class (Type 092) SSBN (other sources report also a sub-variant, the Type 092G, consisting of a pair of boats) and perhaps one boat of the third generation of Chinese SSBN, the lead ship of the Type 096 SSBN (NATO:Tang-class). 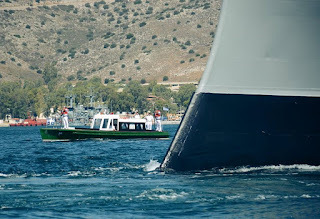 Therefore the total number of boats is the minimum six boats and maximum ten boats! Moreover, China operates at least four or five variants of the Type 093 (Shang class) nuclear-powered attack submarines (SSN) according to the latest reports; the initial pair of Type 093 with the old sail, the Type 093A with the new sail, the Type 093B with the small narrow hump located behind the sail, the Type 093B1 with the wider and more smooth hump and the Type 093B2 with the even smoother hump and shorter in height. 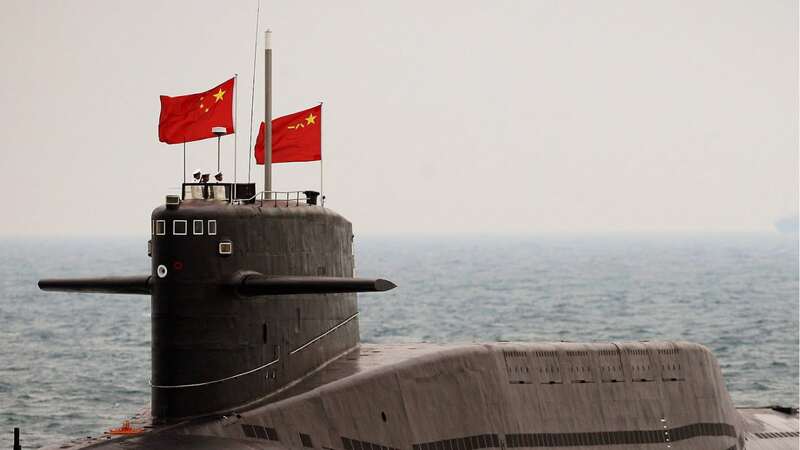 The last variant could be though the Type 095 class as it is rumored that China has put in service the third generation of Chinese SSNs; the first boat of the new Type 095 SSN, and possibly one more boat already has been commissioned. In service there are also three (3) Type 091 (Han class) SSN boats, the first generation of Chinese SSNs. Therefore the number of Chinese SSNs is at least 13-14 boats, if we assume at least a pair for each variant plus the old Type 091s, either just eight (8) boats if we assume there is only one boat for each variant except the Type 091s (which is unlikely to be the case), or the real number is even bigger with the Type 095s a completely new variant in addition to the existing five Type 093 variants! 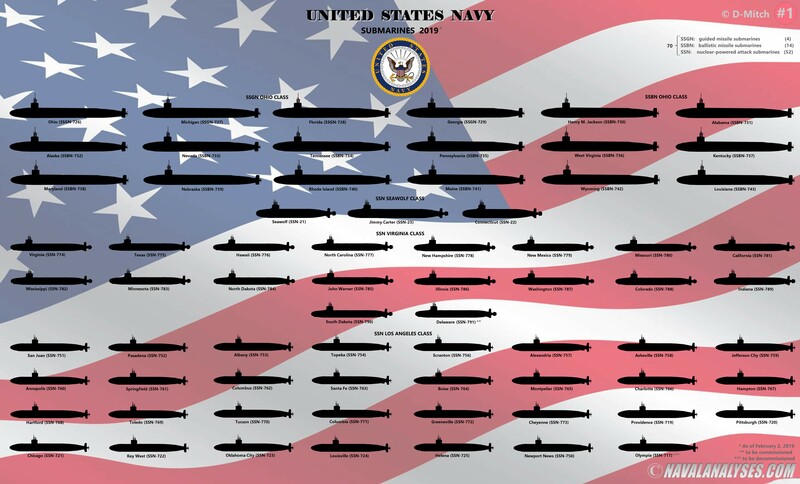 One of the best-kept secrets of submarine manufacturers and operators is the level of their subs’ signatures. As a result, related official published and open source data is mostly limited to general estimations of outdated designs from the Cold War era. 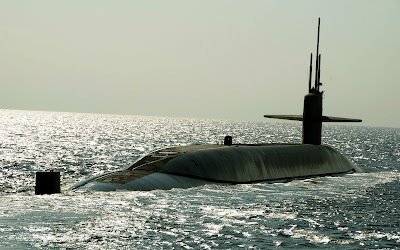 The key signatures of a conventional submarine include its radiated noise, its target echo strength, its magnetic characteristics and its snort mast’s radar cross section and radiated heat. As new and more sophisticated naval mine detonators are developed, electric signatures (UEP, ELFE) are added to this list. The present article focuses on the radiated noise of modern diesel-electric submarines (SSKs), in an effort to shed some light on this interesting and highly classified subject. Radiated noise is the total noise emitted by a submarine and can be received by hostile passive sonars. It should not be confused with sonar self-noise, although in most cases both are caused by the same sources. 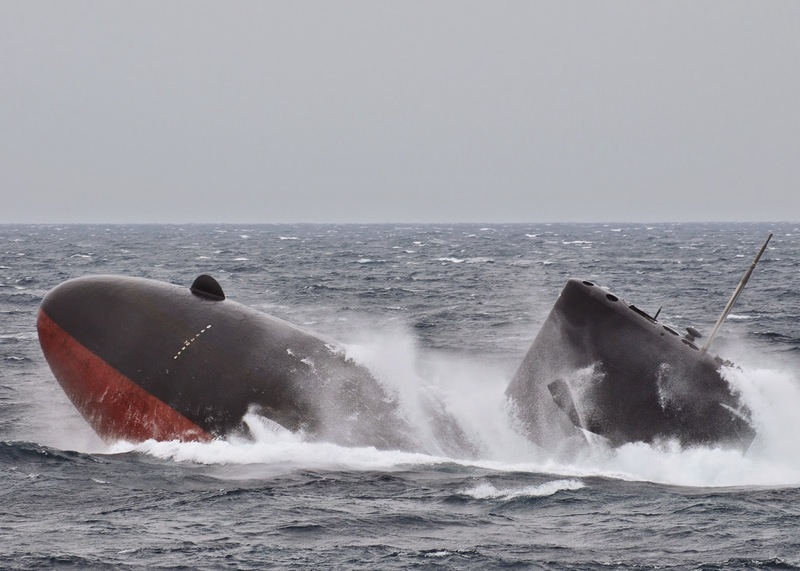 For example, flow noise can be an important contributor to the sonar self-noise even at low speeds, but it is only at high speeds that it becomes a significant contributor to radiated noise. 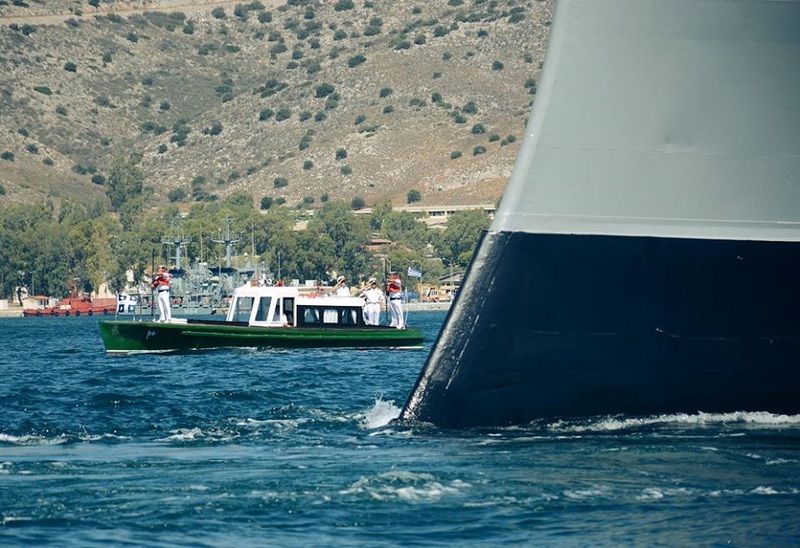 Hellenic Navy featured an inverted bow. It is now a museum ship. This is the introduction to an article I wrote for the well-known Navy Recognition, one of the most popular online media covering Naval Forces, Defense Industry, Naval Technology and Maritime Security. 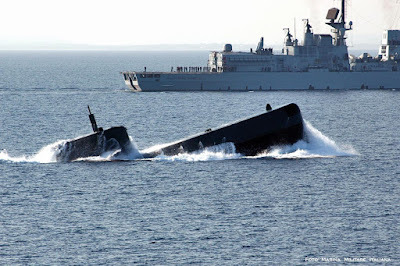 The article titled "Inverted-Bow Warships Back in the Aegean Sea? " looks at the potential return of "inverted bow warships" in the Aegean sea as the Hellenic Navy is reportedly looking closely at the French Navy's future FTI (Frégate de Taille Intermédiaire or mid-size frigate) Belh@rra, a next generation frigate designed by French shipbuilder Naval Group. Naval Group has named its new frigate Belh@rra in reference to Europe’s only giant wave: the Belh@rra. The first “a” transformed into an @ makes reference to the highly digital nature of the frigate proposed by Naval Group! Enjoy my (long) take on the design and features of this new stealth powerful front-line digital frigate here! 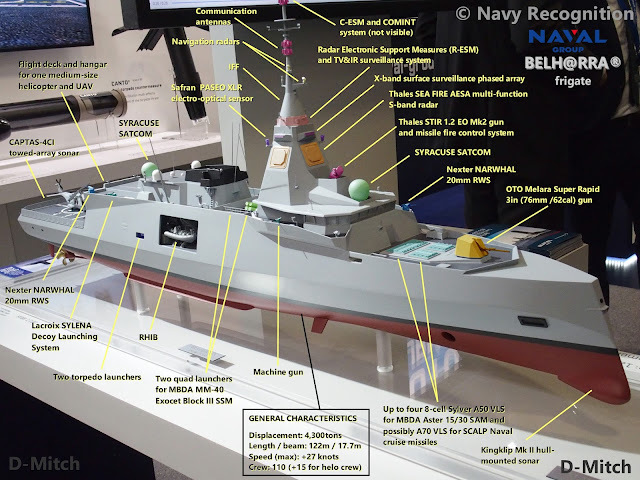 Infographic of the Belh@rra frigate. The inverted bow it is her distinctive characteristic! High resolution image here.